Tirupati Brahmotsavam 2012 is two times because of the adika bhadrapada masam. Tirupathi Lord Venkateswara Brahmotsavam first stats from 18 september to 26 september. It starts with varaha jayanthi and ends with the vamana jayanthi. 26 september is also parivarthana ekadashi. second Sri Venkateswara Swamy Navartri Brahmotsavam starts from 15 October 2012 to 23 October 2012. Brahmotsavam extends about nine days. A festive procession of Lord Venkateswara on the Pedda Seshavahana proceeds around the four streets of the main temple for two hours until midnight. Ankurarpana and Senadhipati Utsavam are celebrated on the day preceding the first day of Brahmotsavam. Brahmotsavam it is believed that Lord Brahma was the first to start this festival. Lord Brahma worshipped Sri venkateswara on the banks of the holy Pushkarini in Tirupati. Lord Brahma wanted to thank venkateswara for protection of mankind. 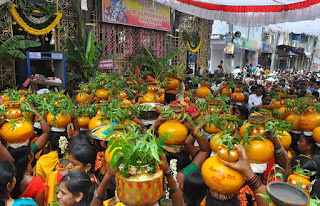 So the name of this Festival “Brahmotsavam” traces its roots to the worship of Lord Brahma. The Brahmotsavam festival is one of the most important and auspicious functions in Tirupati. The event of Tirupati Brahmotsavam lots of peoples will be gathered for the participation. 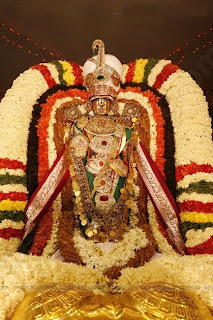 Tirupati Brahmotsavam occurs once in a year, but as per panchagam there will be one extra month in three years that is called as adika masam. The year which contains adika masam Brahmotsavam will be done twice.